Another wheelchair has been given away to a needy senior citizen in Bukit Lanjan on Sunday, May 14, 2017. 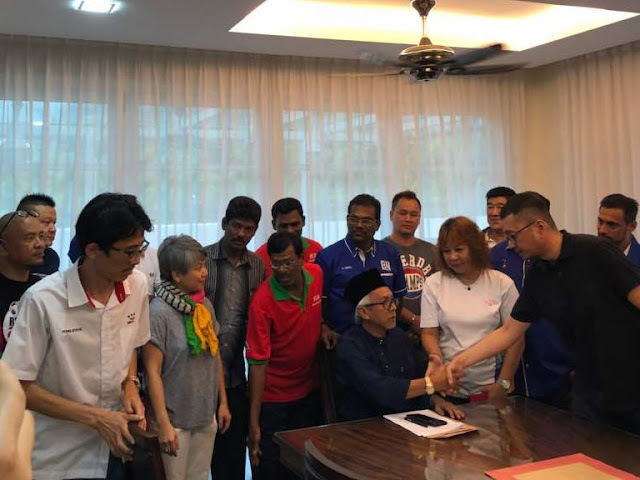 The wheelchair was presented to 70-year-old R. Mocherorahini by Gerakan Deputy Speaker Syed Abdul Razak Alsagoff outside his residnce in Bandar Sri Damansara. Syed Razak said the presentation was approved after his Orang Kurang Upaya (OKU) coordinator M.P. Arumugam completed a background check on the recipient. 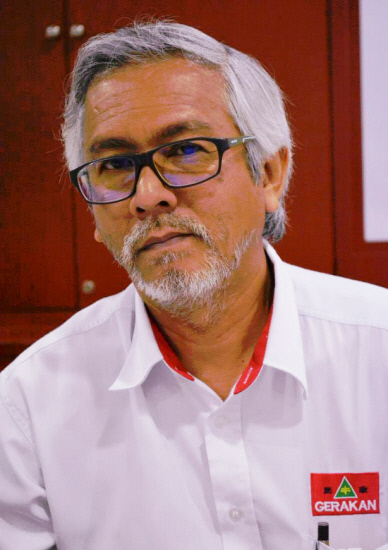 Syed Razak is Gerakan’s nominee to contest in N.37 Bukit Lanjan. Cleaner S. Saroja told Pulse Of Bukit Lanjan that her mother was suffering from hypertension and diabetes. “She lost her ability to walk because both her legs had become swollen and that it was too painful for her to walk, even with the aid of a walker,” she added. Saroja expressed her thanks to Syed Razak and Arumugam for investigating and approving her mother’s request for help to have a wheelchair. “It is really extremely too painful for me to walk anymore. Both my legs are swollen,” Mocherorahini said. Syed Razak said it was one of his duties to look into the plight of the needy and sick in Bukit Lanjan. “GE14 will be my maiden attempt to be an elected representative and helping the needy is one of my contributions to forge a better and united society and good neighbourliness. “My mission and vision as a sincere and honest politician to serve communities and society is clearly outlined in my message to the Bukit Lanjan folk in my flyers and in this blog (view these for details: http://bukitlanjan.blogspot.my/2017/01/bukit-lanjan-demi-n37-bukit-lanjan-yang.html - Bahasa Malaysia, http://bukitlanjan.blogspot.my/2016/12/bukit-lanjan-for-harmonious-and.html - English and http://bukitlanjan.blogspot.my/2017/01/bukit-lanjan-n37.html - Chinese)," he added.